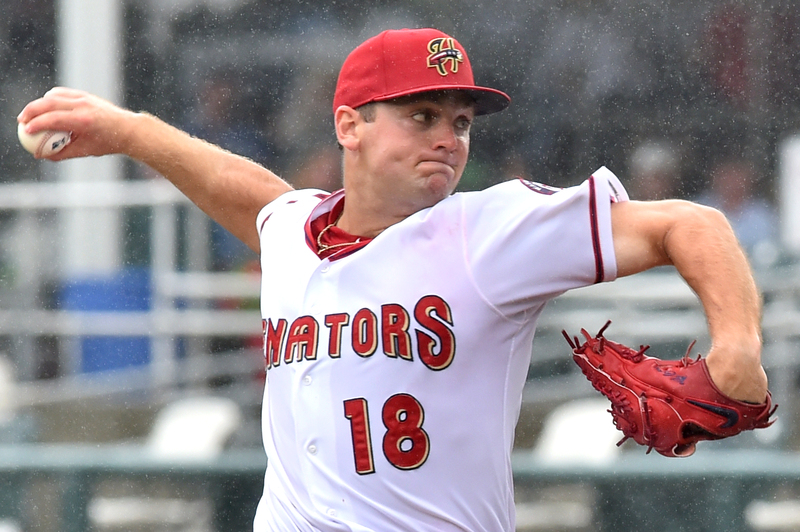 Even before Saturday afternoon, the Harrisburg Senators were ahead of the torrid pace the 1993 club set back in their record-breaking season. 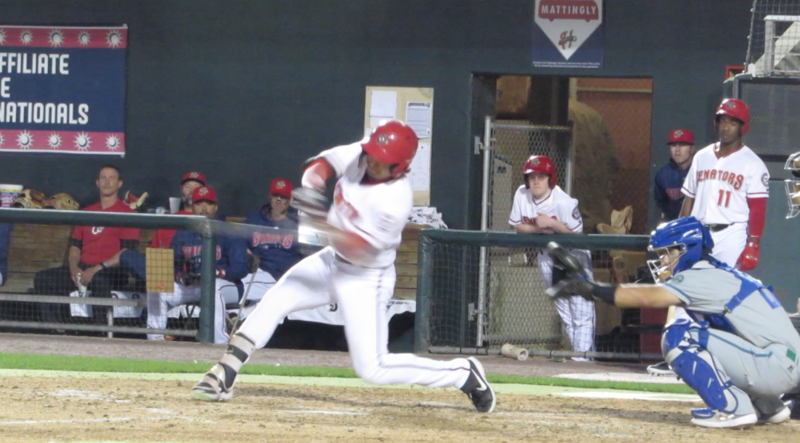 But then the 2019 edition of the team rallied in the ninth inning to score two runs and walk-off the Reading Fightin’ Phils to push its record to an even more improbable 14-2. We picked the three biggest keys (as we see them) to this historic start to the season. 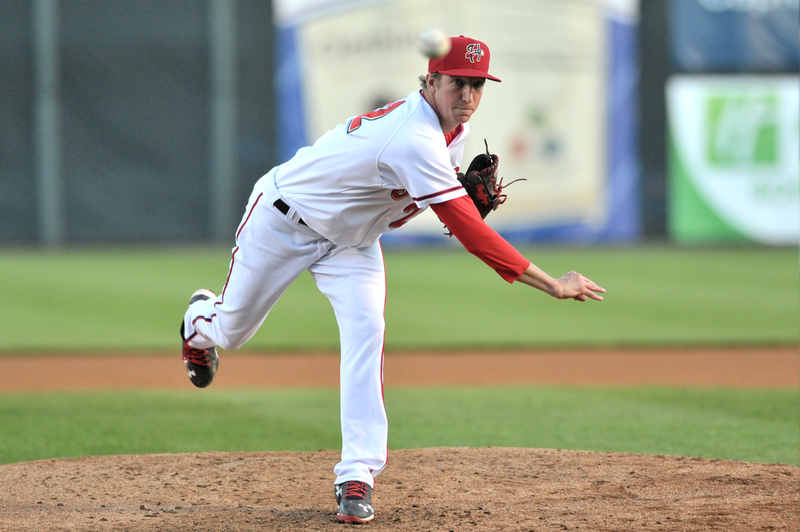 Pitching has been the most significant factor in the Senators’ success this season. Simply put, the pitching has just been better than the batters they’ve faced in the first 16 games. By a lot. The staff as a whole has posted a WHIP of 0.934. How crazy ridiculous is that? It’s the best mark in all of minor league baseball. Only one other team, the Class A- Hickory Crawdads, is even under 1.00. Including Mario Sanchez’s spot start, the rotation has pitched to a 2.74 ERA. They’ve only allowed more than three runs twice. No one taking the ball to start a game has laid an egg. Wil Crowe, Erick Fedde, Sterling Sharp, Tyler Mapes, and Ben Braymer have been really, really good. But the bullpen has been even better. Jordan Mills and Jacob Condra-Bogan have yet to allow an earned run. Joan Baez, James Bourque, Aaron Barrett, and Sanchez all have earned run averages under 2.00. There will be churn in the pitching staff. Injuries will happen. The longer the Nationals’ bullpen is historically bad, the greater the chance that it directly will affect the reliever corps here in Harrisburg. But for now, the pitching has carried them to such great heights. Conventional wisdom says the jump from High-A to Double-A is the toughest in the minor leagues. But for the Senators, the players who are new to Double-A are not only treading water but flourishing in the deep end of the pool. 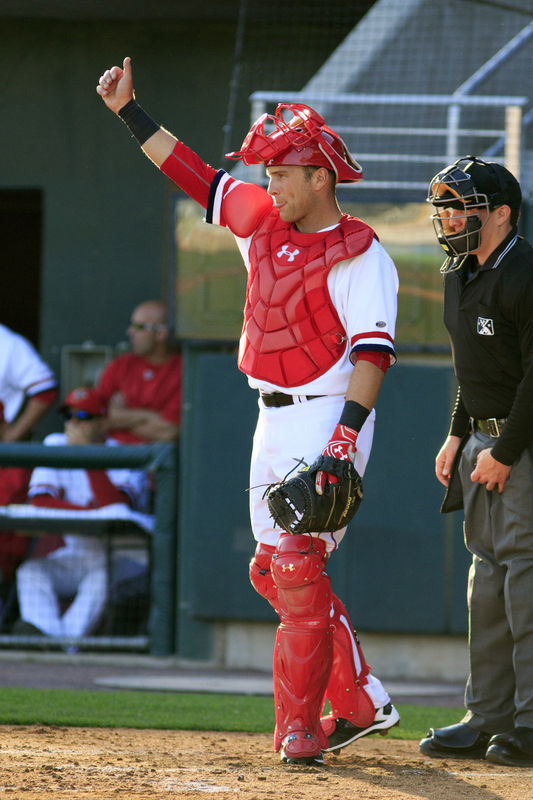 Catcher Tres Barrera leads the Eastern League with a .429 batting average and has multi-hit games in five of the 11 games he’s played. Rhett Wiseman is so hot you can’t stop him, you can only hope to contain him. The outfielder is the reigning EL Player of the Week and leads the league in home runs (8) and RBIs (17). Ian Sagdal is batting only .244, but manager Matt LeCroy pointed to a pivotal at-bat on Thursday night as a prime example of his hitting abilities. During Harrisburg’s rally in the second inning, Sagdal was down 1-2 in the count but singled up the middle to drive in two runs and keep the line moving. Luis Garcia is struggling…but only against left-handed pitchers. Garcia is batting .295 against righties, while just managing one hit in 13 at-bats versus southpaws. Those four are collectively batting .323/.372/.574 in the first taste at this level. From a pitching standpoint, Braymer, Condra-Bogan, Baez, and Taylor Guilbeau have all excelled on the mound. In other years, Braymer’s first three starts would be a highlight of the young season. Now it’s just par for the course. It will be interesting to see how the hitters and pitchers adjust after the rest of the league gets a book on them. Defense in April is typically not pretty. A combination of cold and wet weather conditions along with the first month of the season doesn’t usually bode well for clean baseball. But so far, the game conditions have generally been warmer than usual, and the Senators have been playing in the field like it’s the middle of July. Harrisburg has been one of the best defensive teams in the league. 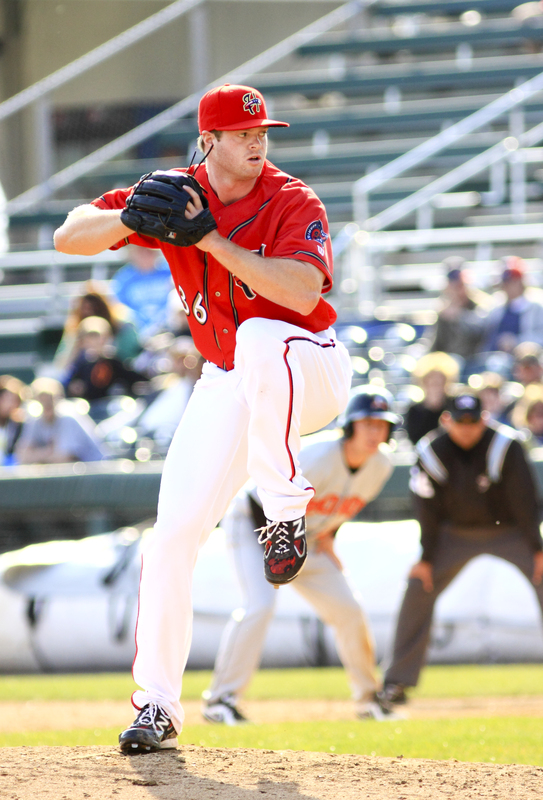 The Senators are tied with Altoona with the lowest number of errors (6) in the Eastern League. One of those wasn’t even an actual error in the “normal” sense of the word as Spencer Kieboom’s catcher interference last week gets counted as one by the rule book. Harrisburg has also turned the most double plays, 43, in the league. The solid infield defense has been especially beneficial to ground ball pitchers like Sharp and Mapes. 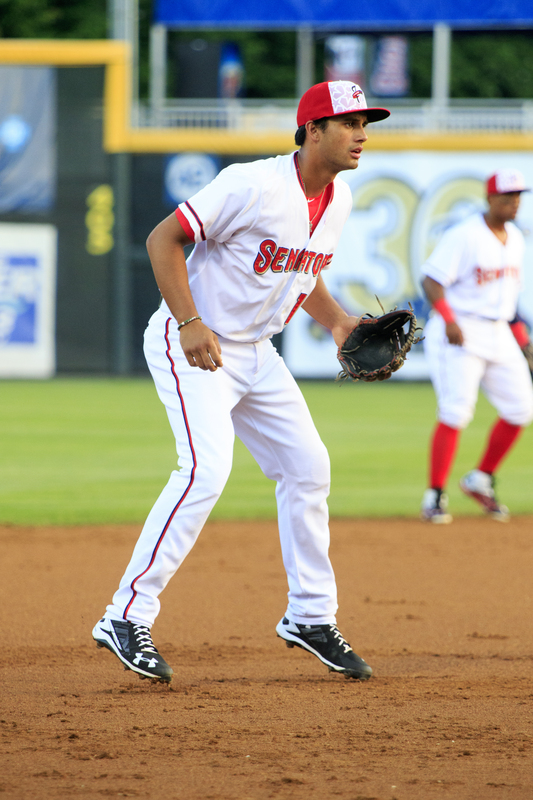 Defensively, 18-year-old Garcia is already Major League ready. Whether at second base or shortstop, Garcia has been better than advertised making the tough plays look routine. Or the improbable plays, possible. They’re not going to continue pitching at this level. Batters will slump. But fielding is something that should remain relatively constant for Harrisburg. Previously, the Eastern League was the only league lower than Triple-A classification that played the schedule as a full season endeavor. Starting in 2019 that changes as the league goes to a split-season format. The Eastern League of Professional Baseball has announced the league will be changing their playoff format from a full season format to a split season format. Under the new format the first place team from each division during both the first and second halves of the season will qualify for the postseason. This change will go into effect immediately, starting with the 2019 season. With the constant upheaval and changes in minor league rosters, the players that end the season are rarely the ones that started it. At the very least, this rule change gives every team an opportunity to reset the board and start back at even on June 19. Take for example last year when the Portland Sea Dogs were not very good to begin the season. They posted a horrid 26-43 record in the first half before reworking their roster and finishing four games above .500 for the second half. If this new format was implemented before last season, the Sea Dogs would still have fallen short of the Eastern Division second half championship by one game but fans in Portland would have had a team to root for all the way through the final game. Instead, Portland slogged to a cumulative 63-76 last-place record that realistically had them out of the playoff race in July. Now if you’re worried this is going to change a lot. Don’t be. Recent history has shown the best teams over the course of the full season are the same ones that will qualify for the playoffs in the new format….for the most part. Doing the best I can to estimate where the first half would have ended with the new rules retroactively put into past seasons, nothing at all would have changed the last three years. The 12 teams that made the playoffs the last three seasons are the same 12 teams that would have made it under the new format. Expanding to the five seasons prior to that (2011 through 2015), however, shows that five teams who failed to make the playoffs would now be in the postseason. In four of those cases, the teams went from a bad first half to a great second half. The best example of this is the 2011 Binghamton Mets. The B-Mets began the year 23-45 before turning it around and going 42-31 in the second half. Back in 2011, Binghamton finished in fifth place 8.5 games out of the playoffs behind Reading garnering the last postseason slot. Only once in the timeframe reviewed has it happened where a team blitzed the competition in the first half and played so poorly in the second half, it failed to make the playoffs. That was the 2015 edition of the New Britain Rock Cats who went 40-31 in the first half before sputtering to a 29-40 finish. Under the new format, that would have been good enough to push out the B-Mets who went 77-64 that season. But that wouldn’t have been the best team of the last nine years to miss the playoffs under the new format. In 2014, Richmond finished with an overall 79-63 record. Good enough for a first-place finish six games better than all other teams in the Western Division. But if today’s rules were in place, the Flying Squirrels would have gone home after the regular season ended as Akron and Erie qualified. Much like the recent addition of the extra wild card team in the MLB postseason was meant to keep more teams in the playoff race later in the season, the same can be said about moving to a split-season format. A bad April and May won’t subject a team to a death march through summer to the end of the season. It’s not perfect and there may be teams that get screwed in the end, but the intent is to keep interest through the dog days of August for fans and players alike. And that can’t be a bad thing. 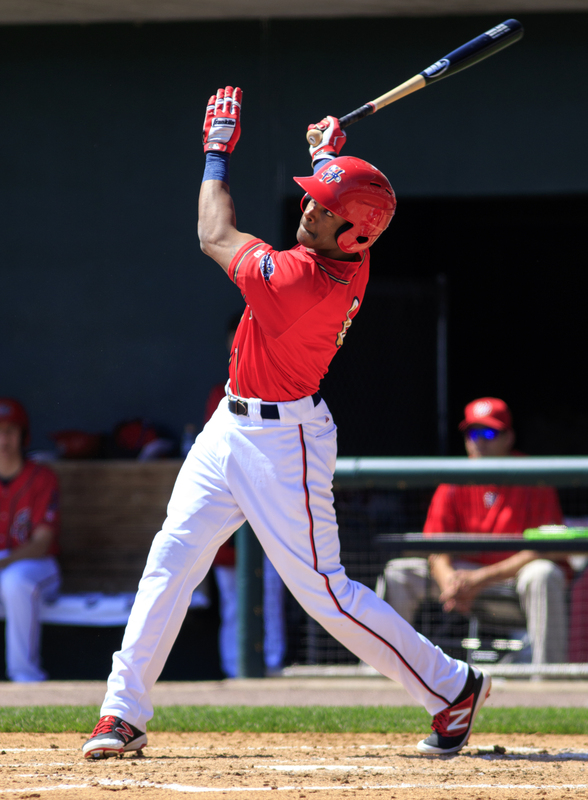 The Harrisburg Senators gave fans a first look at what’s to come for the 2019 season as they released their promotional schedule on Wednesday afternoon. Here are my top five takeaways from it. 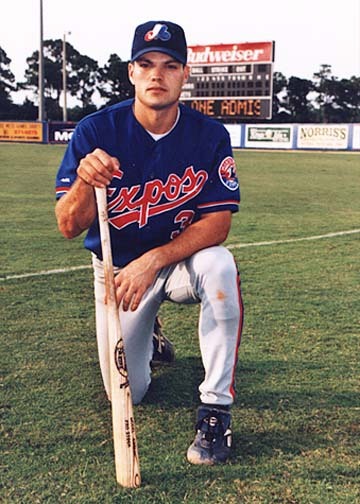 August 3 – Jamey Carroll will become the latest former Senator to be inducted into the One and Only Life Size Bobblehead Hall of Fame. Carroll batted .283 in 264 games over parts of four seasons for Harrisburg and still ranks fifth all-time in modern team history with 283 hits. The first 1,000 fans will get to take home their own smaller version of his likeness as it takes its place on the boardwalk next to Guerrero, Floyd, Harper, Stairs, Phillips, and Strasburg. April 19 – Take a trip down memory lane as the Senators will celebrate the 1996, 1997, 1998, and 1999 teams that brought home the Eastern League championship four straight seasons. As part of the festivities, a Championship 4-Peat blanket will be handed out to the first 1,000 fans 13 and older.